SBS has released a making video for their drama “Switch”! In the clip, Jang Geun Suk and Han Ye Ri seamlessly go back and forth from action scenes to filming in the office. The making video begins with Han Ye Ri practicing her action moves while apprehending a hostile man. At first, she struggles while trying to handcuff him with her nametag, but successfully ties it around his wrists after a few takes. 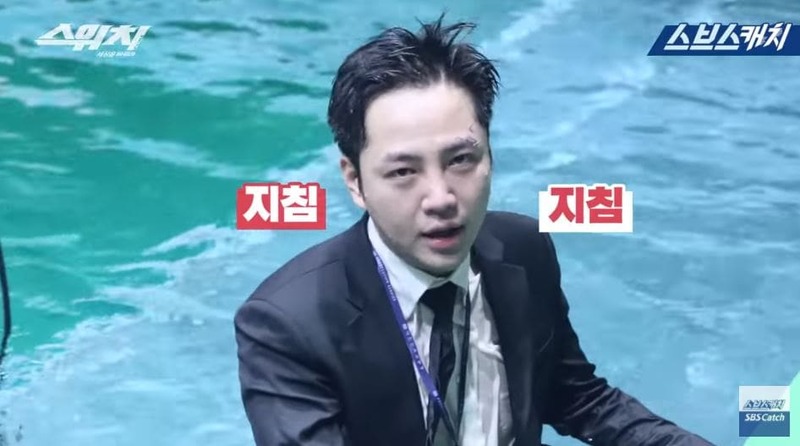 Next is an underwater scene with Jang Geun Suk. The actor quickly and professionally dives down into the water and enters a submerged car. Despite the difficulty of the scene, he appears cheerful as he adorably kicks into the water and even shoots the camera a quick peace sign. Once the director starts the scene, Jang Geun Suk struggles to escape the car. Jang Geun Suk and Han Ye Ri then work together in an office scene. 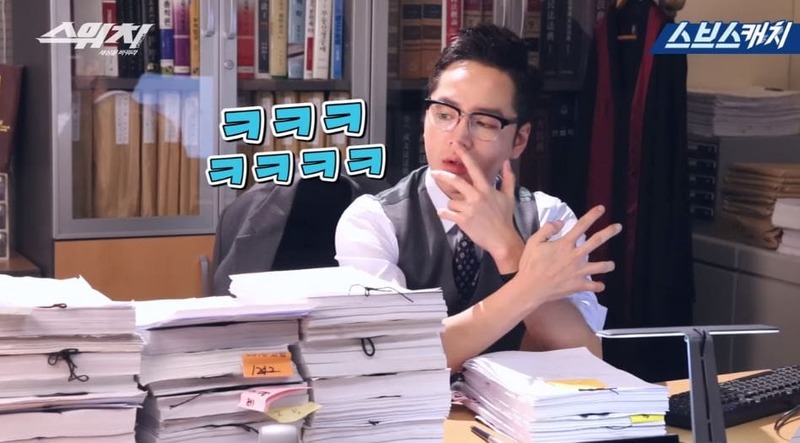 In one of the takes, Jang Geun Suk playfully teases Han Ye Ri when she grabs a thick pack of documents and accidentally knocks down some things from the desk. She also perfectly acts out falling asleep at her desk. While filming another scene, the director asks Jang Geun Suk, “Can you show us your biceps or something?” to which the actor cheekily pretends to pull up his sleeves but shows off his fingers instead. If you haven’t already, watch the latest episode of “Switch” below!